So we have a bunch of our ultimate favourite brands (Nokomis! Eileen Fisher!) in the shop right now, friends, but ALSO some fancy brands (Burberry! 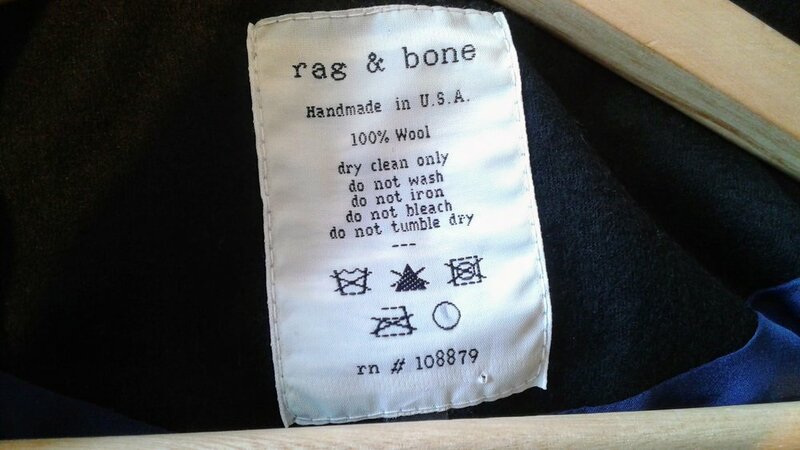 Rag&Bone!)! Plus vintage LL Bean and Converse! 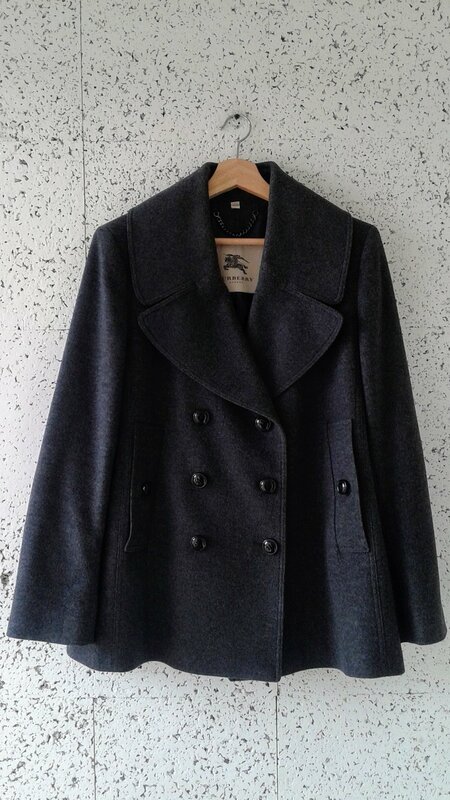 This beautiful Burberry coat hits all the traditional pea coat notes: made of wool, double breasted, slot pockets and wide lapels. Sticking with the traditional elements (and that it's Burberry!) means that this one will be a classic forever. This is the perfect coat for one lucky friend! You know what else is made of wool? This gorgeous Rag & Bone blazer! So I'm calling this a blazer, but the cut and the lack of lapels also reads as cardigan to me. Friends, you have to see this one IRL. The cloth hangs like jersey, although it's wool, and it just looks so elegant and lavish while still being a casual piece. 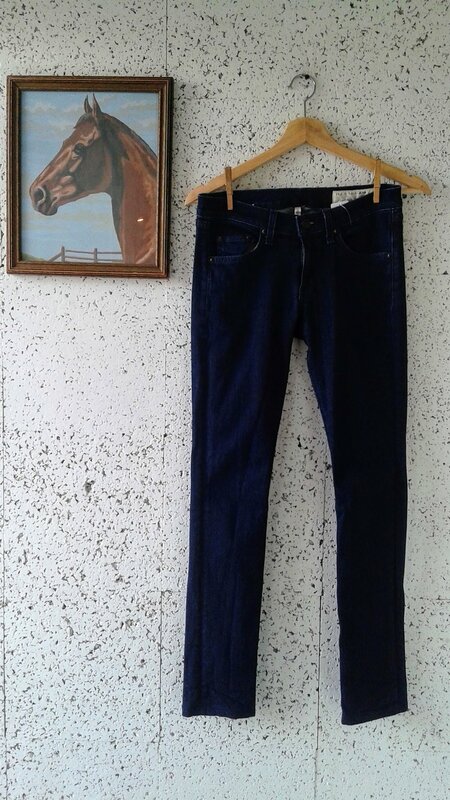 And I almost cruised by these Rag & Bone jeans! And you know what ELSE is wool and handmade? This vintage, wool Nokomis dress! This one is fairly simple compared to what we are used to seeing from Nokomis (no silk screen or contrasting patterned fabric), but I'm a big fan of this mod-style of dress (and of anything Nokomis and Vera Véro!). And note: pockets! This felted wool cardigan(?)/jacket(?)/coat(?) from Aritzia falls neatly into my love of clothes from the future that look like lab-coats! Ok friends, can we agree to call this type of garment an "open-front cape"? Because it is not a poncho, and it is far too elegant to call it a caftan. And because along with my love for clothes from the future and clothes that look like lab coats, I also love capes and all things that even have a *hint* of cape. 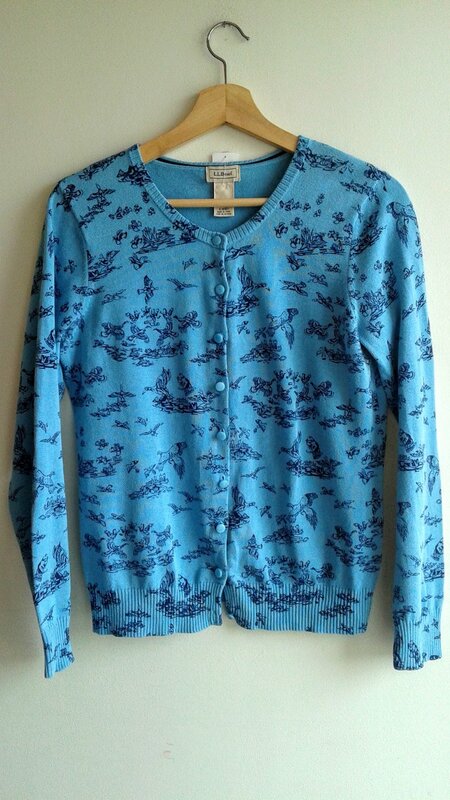 I love this cardigan, friends! 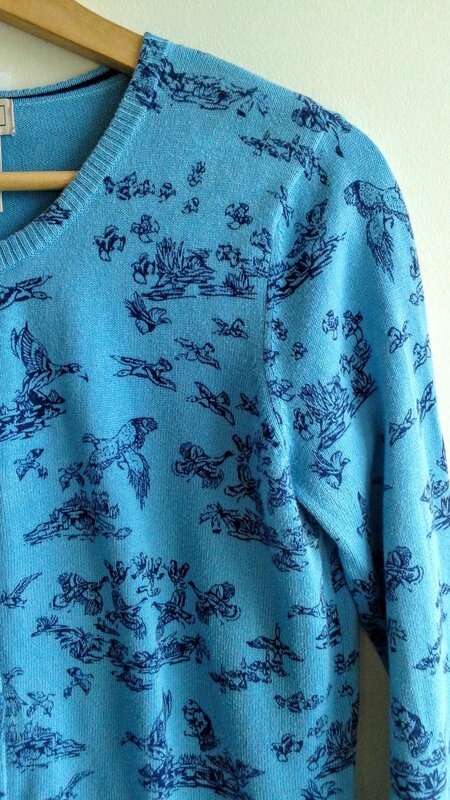 The print looks like it's fresh from the guest room at your grand-mother's house! 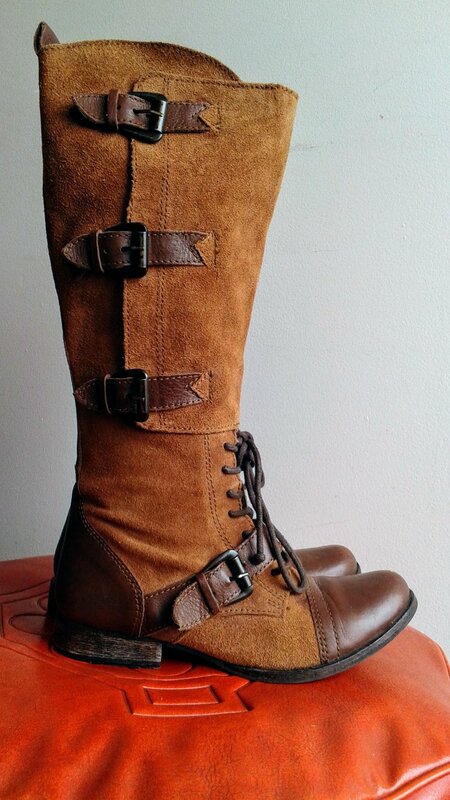 It looks like there is alot going on with these boots from Browns, but I think the buckles, laces and contrasting leather toe cap and heel work really well together. Plus, good news: there is a side zipper for easy access! How adorable is this dress?! And then it does this! 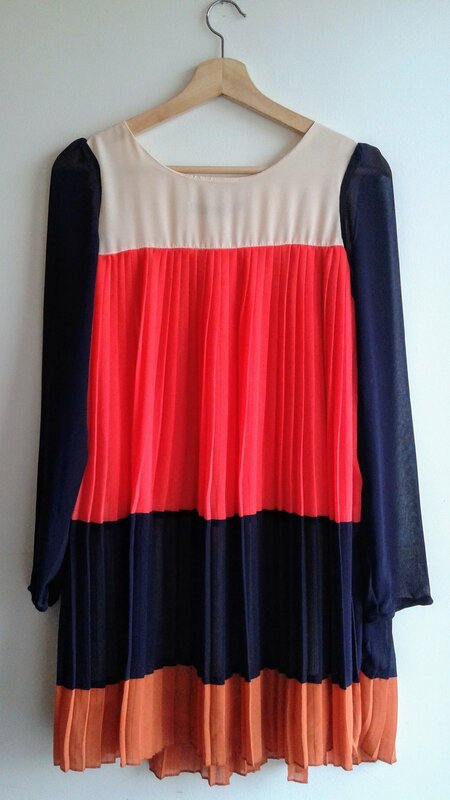 I'm not sure what I love most about this dress: the colour blocking, the micro-pleats or the unexpected cut. I love how different this dress is! Do I even need to say anything about this top? Because bunnies! Seek and find: three debazzled bunnies! Now friends, I'm pretty sure we are all in the same boat when it comes to struggling with over-consumption and the importance of making mindful shopping/wardrobe decisions (ug, how many pairs of Converse do I own?!). So if you just don't have the time to come into the shop this week for a proper look around, or you don't have the emotional energy right now that we all need to make those conscious wardrobe choices, you can always just pop in the shop and buy a $100 gift certificate for yourself in order to get the extra $25 one, and use them when the time is right for you. (That's what I would do!). Because math!